Jihadist insurgents have kidnapped 49 people in the Turkish consulate in the northern Iraqi city of Mosul and 31 Turkish truck drivers in separate attacks, Ankara said. 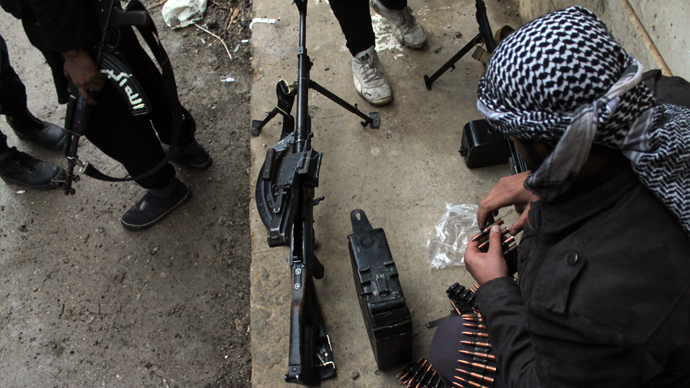 Al-Qaeda offshoot ISIS has been advancing on the cities north of Baghdad. Militants of the Islamic State in Iraq and the Levant (ISIS / ISIL) have captured 49 Turkish citizens at the Mosul consulate, Turkey’s Foreign Ministry announced on Wednesday. As many as 31 Turkish drivers have also been taken hostage by the militants in separate incidents and are being held at a power station in Mosul, the ministry added. The Turkish Consul-General in Mosul, Ozturk Yilmaz, several members of Turkey’s special forces and three children were among those taken hostage by the ISIS militants, Reuters reported citing sources in the Turkish prime minister’s office. Turkish Prime Minister Tayyip Erdogan has summoned an emergency meeting of NATO to discuss the security situation in Iraq. Ambassadors of the NATO member states met in Brussels. However, no announcements were immediately made following the meeting. Erdogan earlier held an emergency meeting with Turkish President Abdullah Gul, Turkish intelligence chief and the chief of general staff, and talked with US Vice President Joe Bide. According to Turkish media, the captors have been holding diplomats in militant headquarters and unharmed. An Islamist Twitter account, @Dawla_NewsMedia, which has been tweeting photos and pro-ISIS reports from the scene, claimed that the Turkish diplomats have been moved “to an unknown location.” The account has since been blocked by Twitter. Meanwhile, Reuters sources suggested Ankara has been in “direct contact” with the militants over the situation. 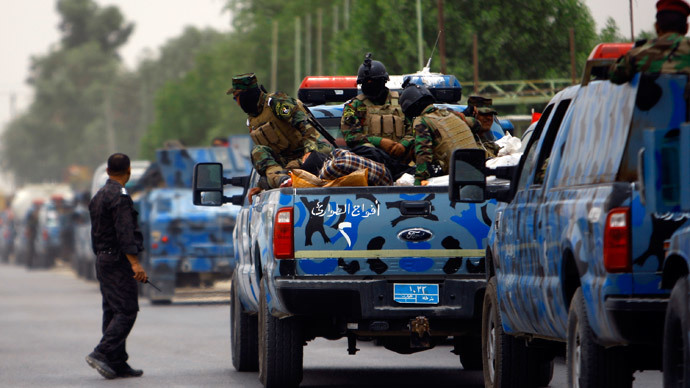 AFP quoted Tikrit police as saying that the militants controlling the city freed some 300 prisoners there. 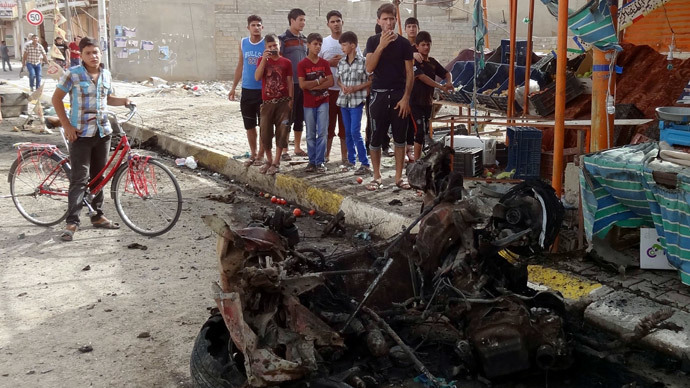 “All of Tikrit is in the hands of the militants,” an Iraqi police colonel told AFP. 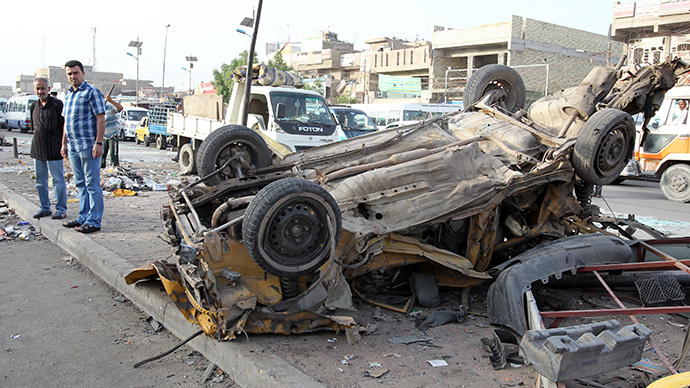 Meanwhile in the city of Samarra, located further south of Tikrit on the east bank of the Tigris River, clashes reportedly broke out between Iraqi forces and militants arriving in trucks with machine guns, according to AFP. Samarra, a UNESCO World Heritage Site, is home to several holy sites for Shia Muslims. A military source told Al Arabiya news channel that Kurdish forces are reportedly fighting ISIS militants in Kirkuk to stop their offensive. Earlier, ISIS boasted the capture of Iraq’s biggest oil refinery north of the city of Baiji, claiming it had “seized it without a shot.” The oil refinery, located less than 180km (110 miles) from Mosul was one of the strategic objects secured by the US-led forces in the 2003 invasion of Iraq and thoroughly searched for “weapons of mass destruction.” No chemical agents were ever found there. 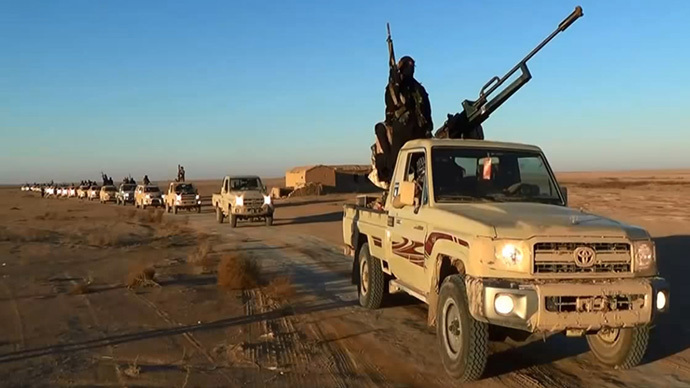 Reports from the scene suggested that ISIS militants agreed to leave the city and energy installations of Baiji after negotiations with local tribal leaders. The militants allegedly left for nearby villages after torching the city’s courthouse and police stations and freeing prisoners. Following the seize of Mosul, local media reports said that ISIS looted some 500 billion Iraqi dinars (about US$429 million) from the city’s central bank, possibly making it the richest terror group in the world. Nineveh Governor Atheel al-Nujaifi confirmed that millions have been stolen from several banks in Mosul. The militants have also captured an unknown number of Iraqi Black Hawk helicopters parked in the Mosul area, reports said. ISIS has been actively using social media, particularly Twitter, to spread the news of the group’s progress in Iraq. 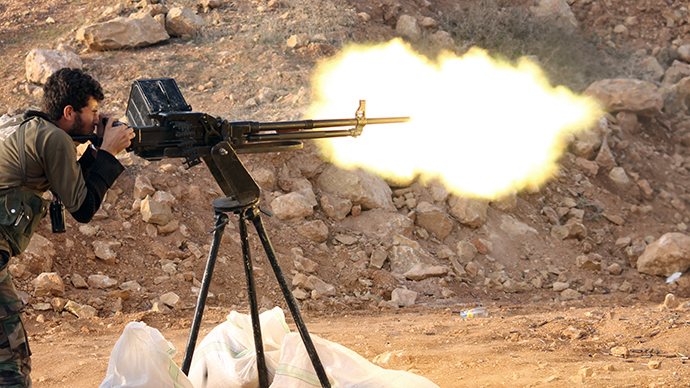 One of the Twitter statements said that ISIS is determined “to conquer the entire state” of Nineveh. Led by Abu Bakr al-Baghdadi, the militant group fighting for the creation of a huge Middle Eastern caliphate previously had strong ties with the international terrorist organization Al-Qaeda. However, al-Baghdadi is believed to have broken up with Al-Qaeda’s leader Ayman al-Zawahri, and since then ISIS fighters have reportedly clashed with Al-Qaeda in Syria.